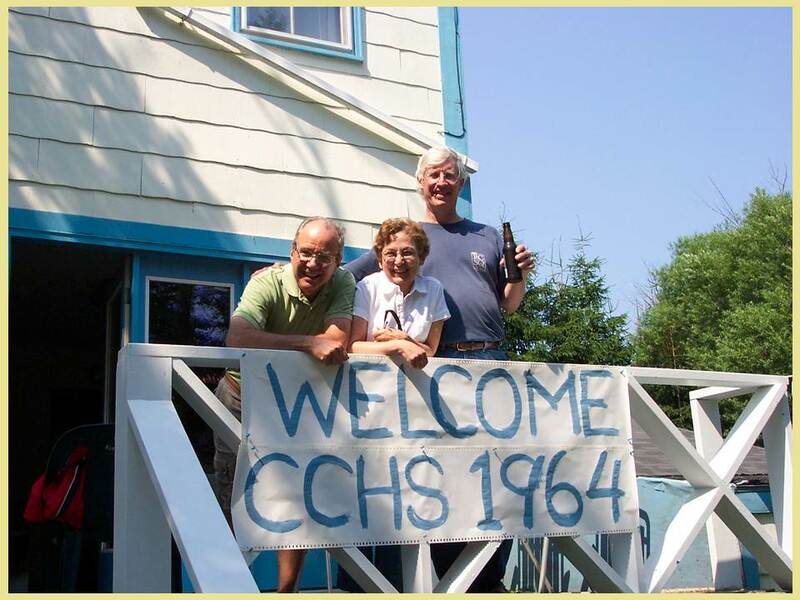 Welcome CCHS ‘64 Alum! This will only take a second but will be enormously helpful in our effort to find all our classmates who would like to reconnect with the class, so thanks in advance for your time. To help us out, simply decide which of the three classifications below applies to you then please take the appropriate action. “I know you already have my contact info on the CCHS ‘64 Master Contact List maintained by Steve Gartrell." If this applies to you, thank you for your time and please enjoy browsing the rest of the site. “I know you currently do not have my contact info on the Master Contact list.” If this applies to you, please click on Option 1 or 2 below to let us know whether or not you would like to be added to the Master List. “I am not sure if you have my contact info on the Master List.” If this applies to you, you can review the most current missing alums list by clicking here. If you're not on the missing list, then we have your contact info (at the very least, a postal address or phone number although e-mail address is best), so we thank you for your time and please enjoy visiting the rest of the site. If the list shows we have not found you, please return to this page and click on Option 1 or 2 below to let us know if you would like to be added to the Master List. option1@clarkstownhs64.com: "Please add me to the Master Contact List as Found." If you click on Option 1, your default e-mail will open and you can send us a short note saying “Please add me to the Master Contact List as Found. I am definitely interested in reconnecting with the class and hearing more about the 50 Year Reunion". In your e-mail, please include your 1) first name, 2) middle name, 3) last name at graduation and 4) married name (if appropriate) for our records plus your e-mail address and any other contact information you would like to share. Be assured, your contact info will only be used to let you know about alumni and/or reunion activities. Further, if so desired, you can request "Please keep my contact info private” and it will never be shared with or seen by anyone unless you give us prior authorization to release it. Importantly, whether you choose privacy or not, your contact info will never show up anywhere on this site and all class correspondence is blind copied, so your contact information will always be treated confidentially. option2@clarkstownhs64.com: "Please add me to the Master Contact List as Found Not Interested." If you click on Option 2, your default e-mail will open and you can send us a short note simply saying “I prefer not to reconnect with the class; please classify me as Found Not Interested." In your e-mail, please include your 1) first name, 2) middle name and 3) last name at graduation for our records and we will remove you from the list of missing classmates we are actively trying to locate. Down the road, if you would like to have us add your name to the contact list as Found, simply return to our website and select Option 1 above. Importantly, it would be greatly appreciated if you proactively let us know that you prefer not to reconnect with the class so we do not spend precious volunteer manhours trying to locate you. Thanks again for helping us out. Your time and input is greatly appreciated!